The Abbey School is a business and enterprise academy in Faversham, attended by over 1000 pupils, from Years 7-13. The school site is also home to The Abbey Sports Centre, which includes a fully equipped gym and sports hall that is used by students and the local community. With so many students, The Abbey School is dedicated to providing the ideal environment for all, to improve academic performance and enhance comfort among students and staff. Providing an environment that maintains focus and reduces absenteeism is a strategic concern for all education facilities. Increased focus ensures academic performance is at an optimal level, supporting teachers’ educational endeavours to produce the best results from all its pupils. 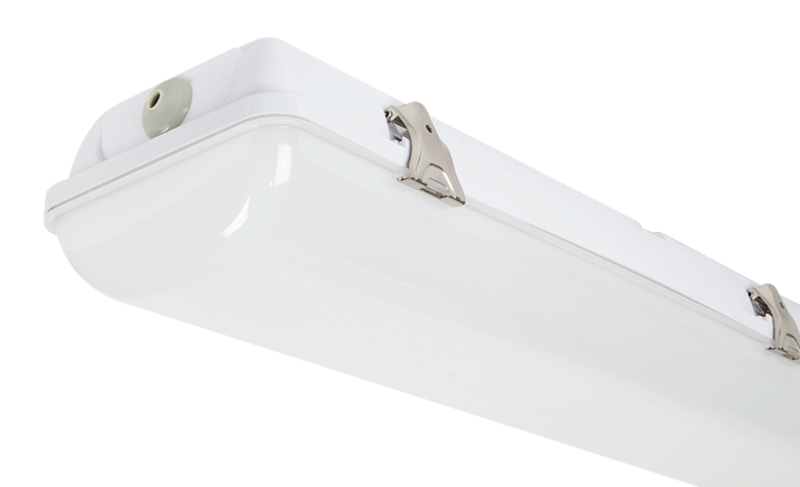 The Abbey School set about significantly upgrading the lighting system at the school, from classrooms and communal areas to the sports centre. 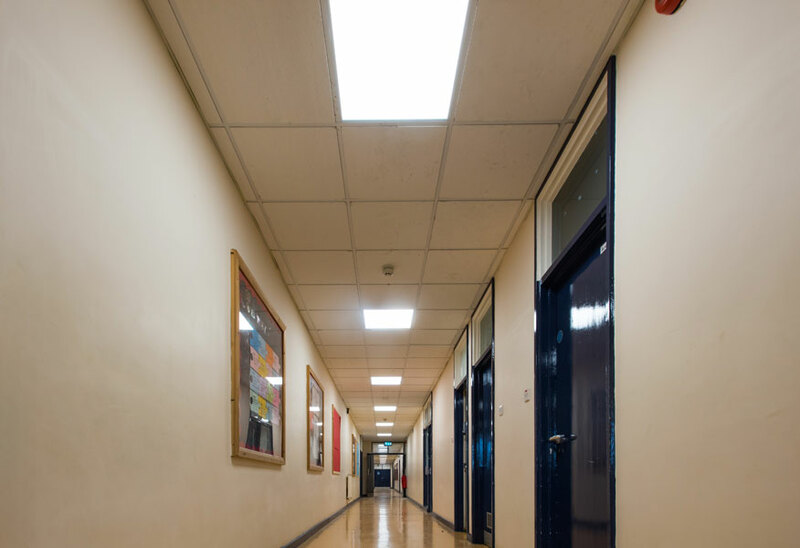 The new lighting scheme was funded utilising the Salix loan agreement, as the lighting system significantly improved energy efficiency at the school. The Salix scheme helps schools to reduce their running costs, when energy efficient solutions are installed. The proportion of local government-run secondary schools in England with a deficit has nearly trebled in three years, according to a study. The analysis by the Education Policy Institute (EPI) suggests more than one-quarter of secondaries are in the red. Whilst the Abbey School is not in this category, the school’s leadership team is keen to reduce operating costs so that a greater proportion of its budget can be allocated to provide resources to support teaching and learning. In computer labs and classrooms, glare can cause discomfort for students and staff. Visible glare from fittings and the reflection of light off the computer screens for long periods can cause eye strain and headaches. For students to perform to the best of their capability, they need to be working in an environment that benefits them. 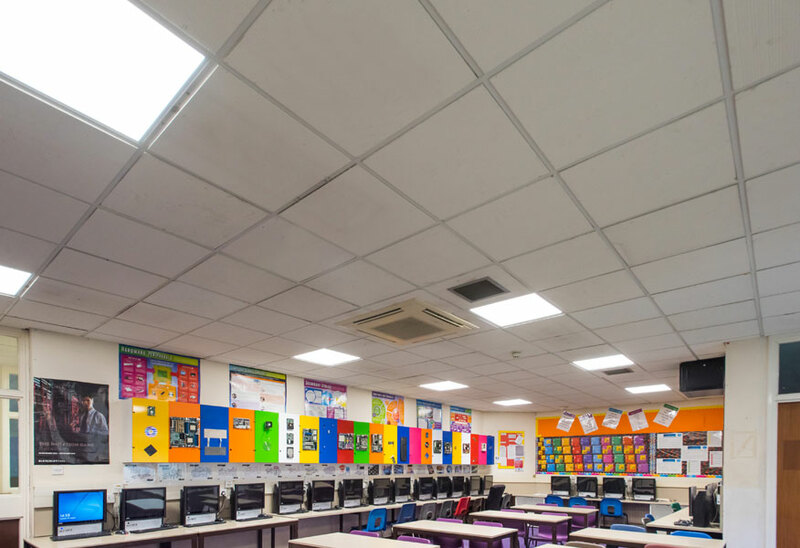 To ensure that students and staff are comfortable, whilst remaining productive, low glare battens were installed in classroom and computer rooms. 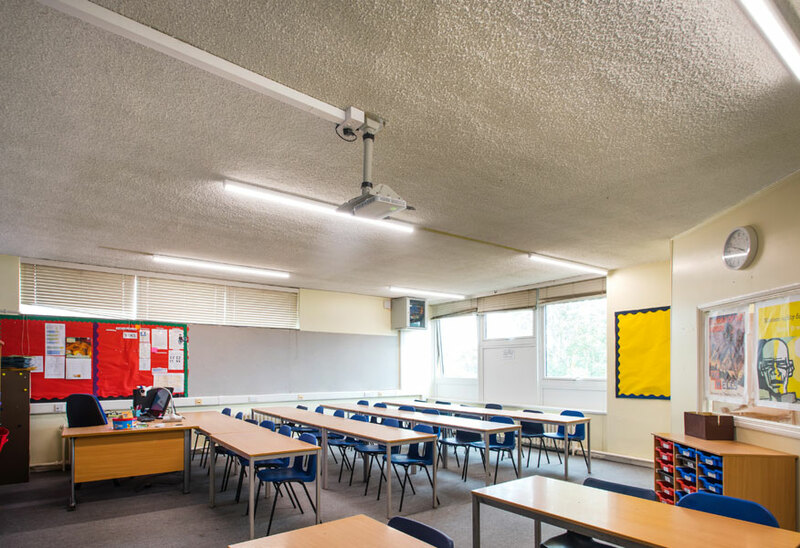 A lighting solution that created a bright, welcoming environment in classrooms was supplied, while reducing the prevalence of discomfort glare, to boost performance and create a more productive working environment. 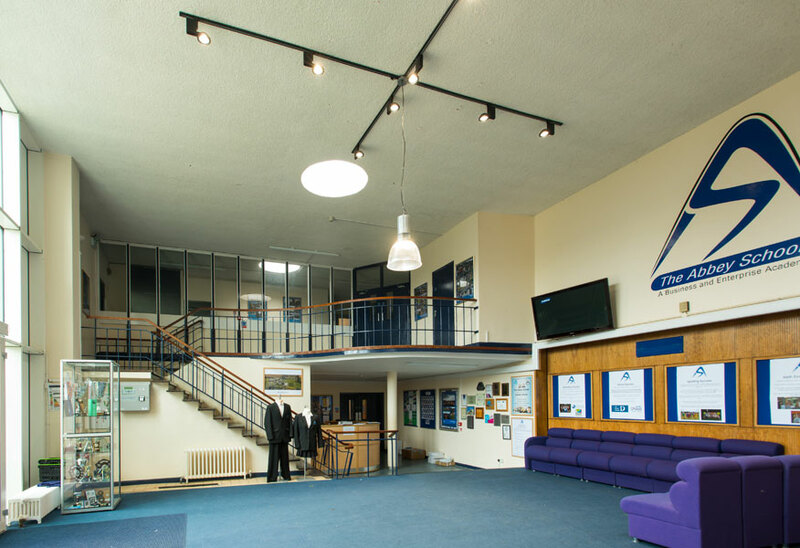 In the sports hall and gym at the Abbey Sports Centre, fluorescent light fittings were previously used. 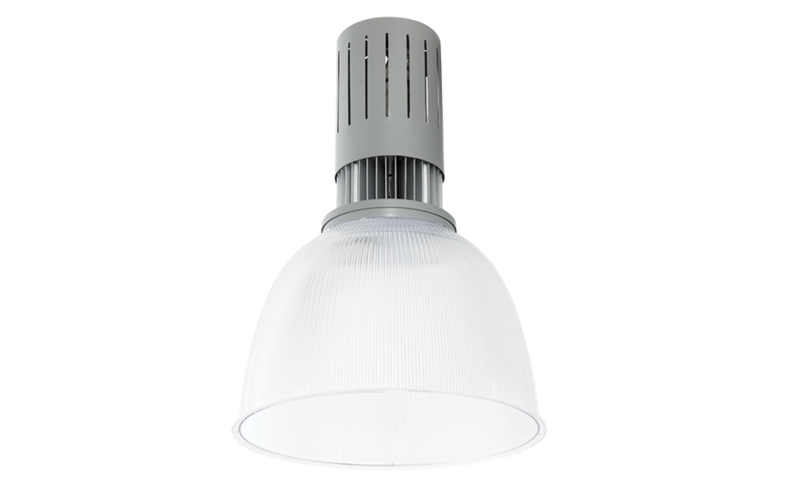 These were costly to run, with increased maintenance and energy costs. The level of illumination was also poor in the sports hall, which needed to be significantly improved. 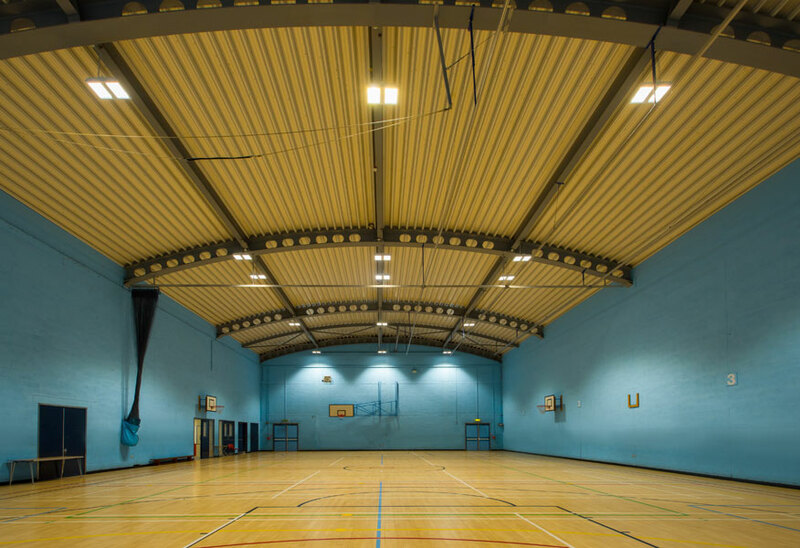 Tamlite supplied a lighting solution for the school’s sports hall, as well as the sports hall and gym at the attached Abbey Sports Centre. 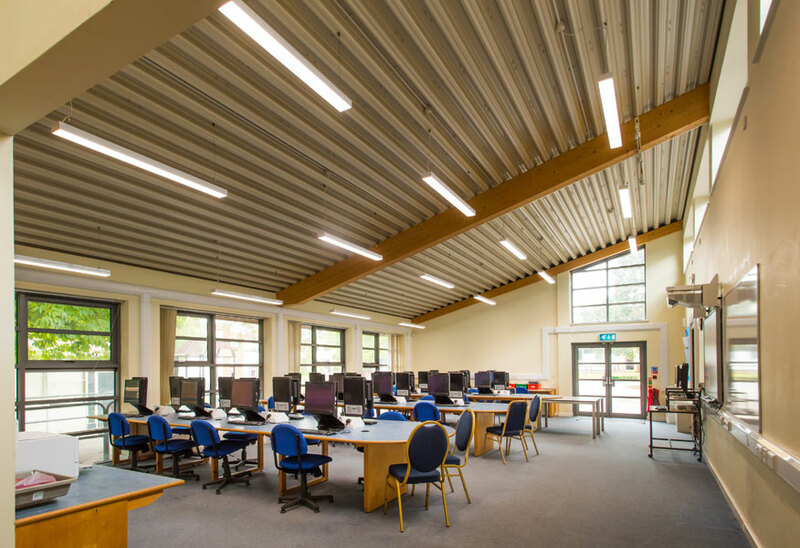 This lighting upgrade significantly reduced energy consumption for the school and sports centre, which was crucial for the acquisition of Salix funding. 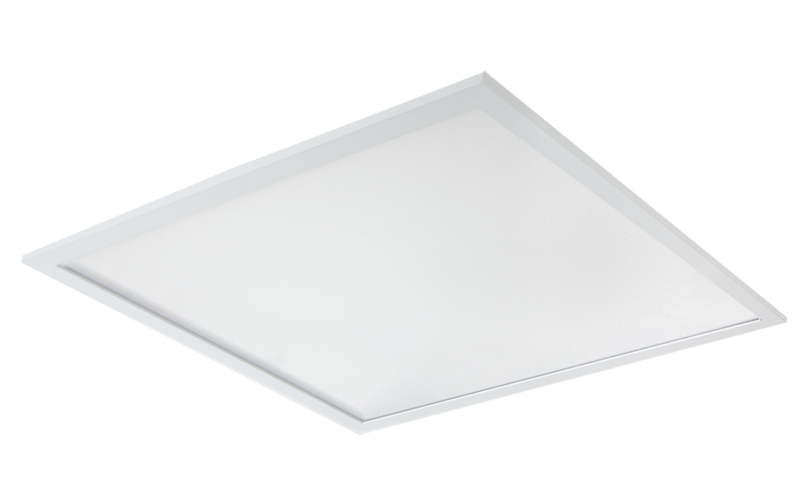 The lighting upgrade resulted in an energy saving of 61% for the school, leading to a significant reduction in its energy costs. 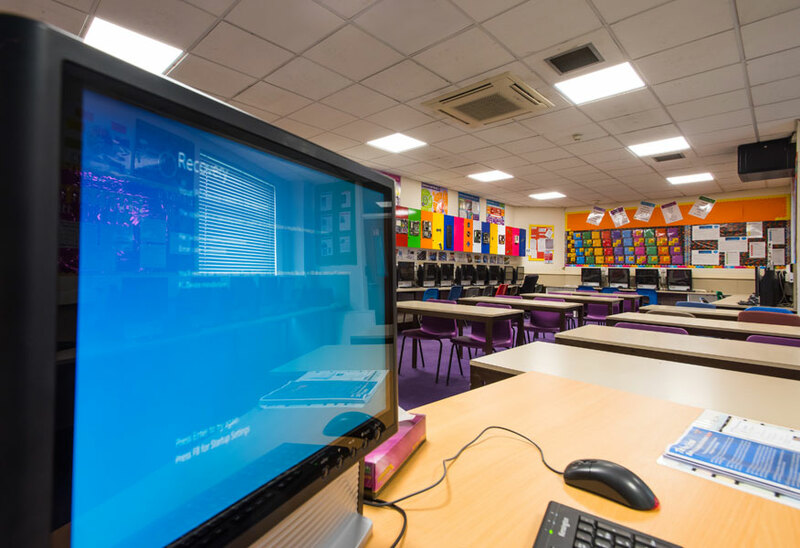 This reduction in costs allows the headteacher and his leadership team to further invest their money in other areas of the school, to continue to improve the learning environment for pupils. 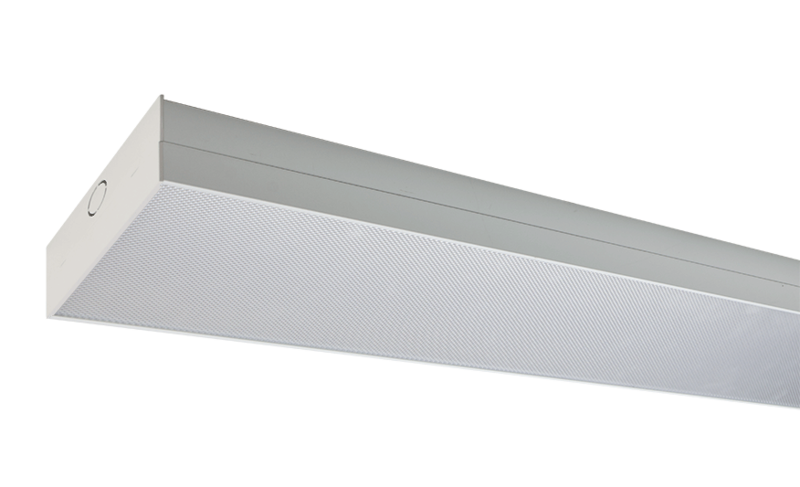 The new lighting solution was designed and supplied by Tamlite Lighting, in partnership with CEF Faversham; this partnership ensured that the lighting system at the Abbey School required was delivered on time and in full during the school’s summer holidays, thus having very little impact on the normal day-to-day running of the school. The lighting was installed by local contractor, Lifestyle Electrical. Click to also see Communal, Industrial Or Sports application images of this project.